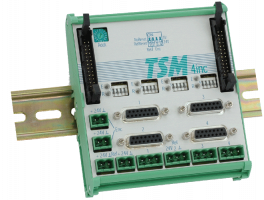 The TSM module 4INC allows to connect four incremental encoders. 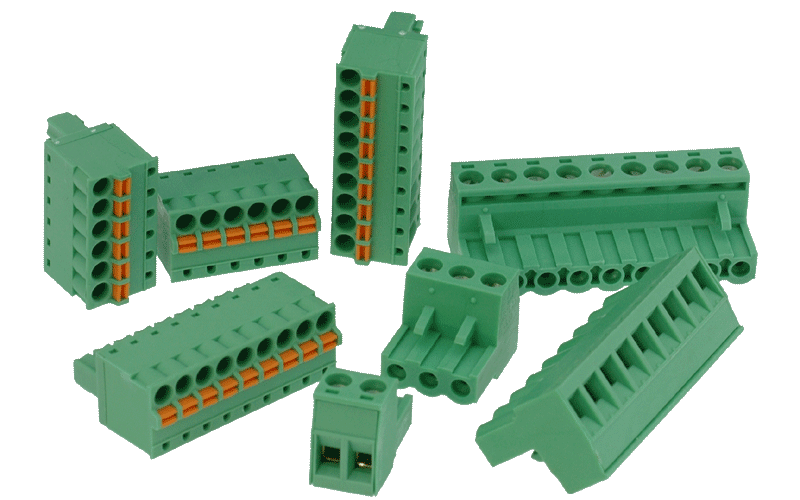 These can be supplied with 24V or 5V from the TSM-4INC. 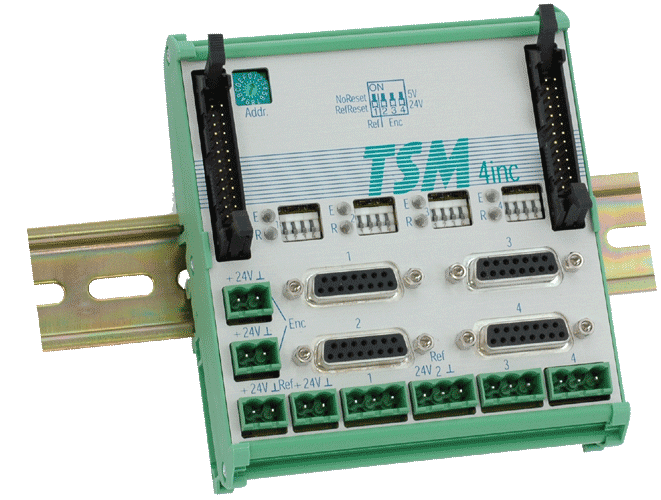 The 24 Bit counter is loadable and supports 1x, 2x and 4x in quadrature mode. The direction can be inverted. The module allows to chose (by dip switch) between 5V or 24V input signals for each input, channels can also read differential levels. A zero index can be detected with the help of an integrated 24V input for a reference position initiator for each axis. switches to two-edge counting mode.